Last Friday saw Readipop faces old and new take to South Street Arts Centre to celebrate our two decade presence in Reading. 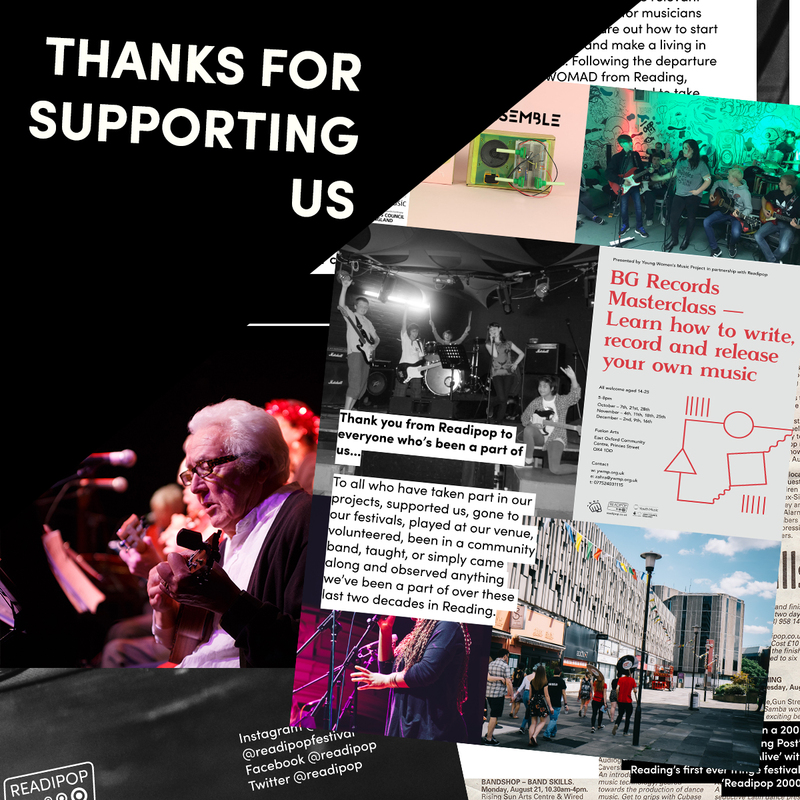 To all the acts and gig goers of our birthday party, plus staff, volunteers, workshop leaders, performers and more who crucially contributed to Readipop’s work, thank you for being a part of Readipop. Over the last two decades Readipop has worked towards making a positive difference to the lives of people in need, fuelled by the belief that creativity is vital for a fulfilled life. Through high quality projects we have and continue to aim to produce engaging, memorable and meaningful experiences for all. To understand more about Readipop’s origins and development, read our newly published anniversary booklet (with vintage pics abound). Meanwhile, listen to Readipop’s first ever compilation album (from 1998!) recently added here.